Airport Hanger Doors are huge steel doors mounted on tracks. They are used on closed structures that hold aircraft, spacecraft and military hardware. There are several types of hanger doors available depending on the specific need: bi-fold, sliding, single and multi-panel, telescopic and centerfold, braced and unbraced canopy. VAHLE offers dependable solutions for any hanger door arrangement with our wide range of versatile conductor bar. 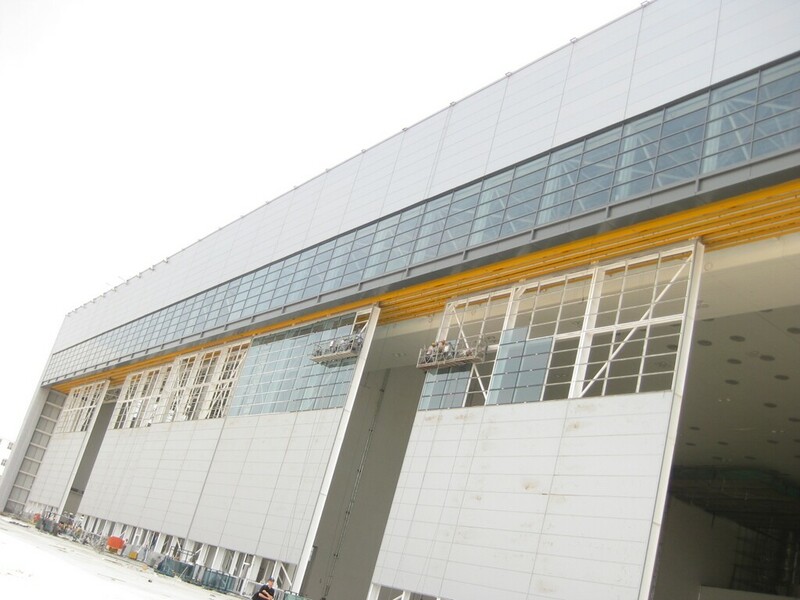 We offer over 100 years of knowledge and expertise to ensure your airport hangar doors are up and running when needed.